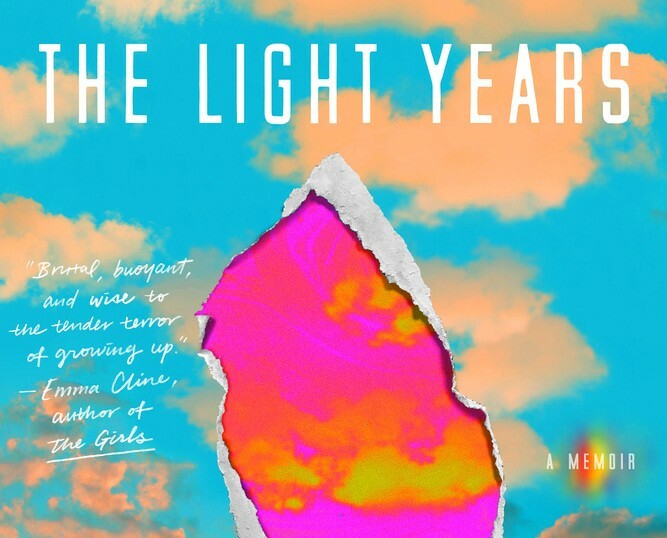 A fast-paced coming-of-age tale about growing up gay during the sixties and seventies, The Light Years examines national social upheaval through the lens of one family’s daily struggles. In vivid prose, debut author Chris Rush recounts his tumultuous adolescence and muses about what it means it to find self-acceptance as a queer teen. Divided into six sections, the memoir opens by offering an overview of the Rush family circa 1967. Chris, effeminate and wide-eyed, is the second son of the seven Rush children. He adores his wistful mother and spends his days hanging around his older sister Donna and her rebellious group of friends, who drop acid daily and yearn for the world outside their New Jersey suburb. Unlike the rest of the family, Chris’s stern father can’t stand the boy’s penchant for playing dress up or his love of paper flowers. The narrative kicks into gear when Chris’s dad sends him away to boarding school. The thirteen-year-old first attends a Catholic institution and then an experimental learning academy, but he faces the same problems at both schools. Boys attack him for his effete mannerisms, and the adults who might protect him are verbally and sexually abusive. Chris’s only friend is a piano-playing Satanist. Things take a turning point one summer when Chris journeys to Tuscan, Arizona, where his sister has moved with her partner Vinnie. Donna welcomes Chris into her home and showers him with affection. Feeling a sense of belonging for the first time in his life, Chris grows out his hair, indulges in regular drug use, and begins to come to terms with his sexuality. Sinister and kind countercultural figures alike pop in and out of these chapters, and the memoirist lucidly reflects on an era of frenetic social change. Unexpected news awaits Chris when he reluctantly returns to New Jersey in the fall. His mother has enrolled him in public school, forcing him to stick around home, and his parents constantly fight. His dad drinks too much and has extramarital affairs, while his mom is in the midst of a mental breakdown. The family’s domestic drama mirrors the growing sense of discontent across the country as the mid-seventies approach. Chris’s presence aggravates the situation. His father is disgusted with his son’s transformation in appearance, and he becomes vicious toward everyone in the household. In spite of the abuse he endured upon coming home, Rush offers a clear-sighted analysis of his father’s behavior from the vantage point of the present, neither vilifying him nor absolving him of responsibility for his actions. 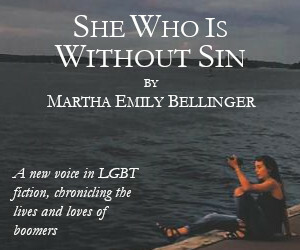 The memoir jolts directions again when, in lieu of divorcing her husband, Chris’s mother attempts to quell his anger: she sends their gay son to live with his older sister permanently. Back in the Southwest, Chris, now 16, finds it difficult to maintain the cheery optimism of his youth. He begins his first serious relationship with another boy, and he’s forced to reckon with the fact that homophobia will track him no matter where he travels. All the while, he becomes increasingly resentful toward his mother as she drifts away from him. The teen’s recreational drug use morphs into addiction, and he takes to wandering the desert, searching for god, UFOs, and freedom from self-hatred. His friends grow distant. Facing disappointment after disappointment, Chris struggles to grow up with little support. It’s remarkable that the memoirist’s recollection of his troubled past is filled with such humor. Rush’s incisive humor livens up the bleak narrative, and he captures the eccentricities and quirks of the many people he encountered as a teen, whether or not he liked them. Most notably, his characterization of his parents is evenhanded and sympathetic, humanizing figures that initially appear neglectful and larger than life. 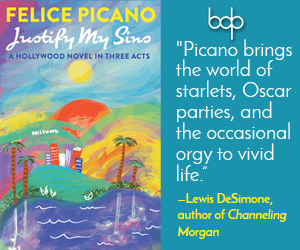 The memoir speeds by in a mesmerizing blur. Each chapter consists of a series of succinct vignettes; the narrative moves at a rapid pace, and the memoir hardly feels close to four hundred pages. The dialogue is consistently quick-witted and sharp, the descriptions evocative and surreal. Rush has a real talent for fully rendering dynamic personalities and extraordinary landscapes, from the foreboding forests of New England to the Sonoran Desert surrounding Tuscan. The book, while marketed as a straight forward memoir, is an expertly crafted, elevated piece of writing.The narrative feels artfully arranged and experimental in form. Rush has written an expansive life narrative, full of brilliant observations, and it’s hard to believe that this is only his first book. Signaling the debut of a talented writer, The Light Years sketches an unforgettable portrait of a turbulent time.